As the clock continues to tick down towards the end of the campaign for The Bards Tale IV more stretch goals have been slowly added. The first two, additional companions and an enhanced crafting system, have already been busted through. But, there’s still a lot more that have yet to be unlocked. Monte Cook’s involvement is just within arms reach at $1.4M, and three other industry veterans will each be penning a dungeon at $1.5M, but the latest news is that a couple other big names in gaming will be helping the team at InXile. 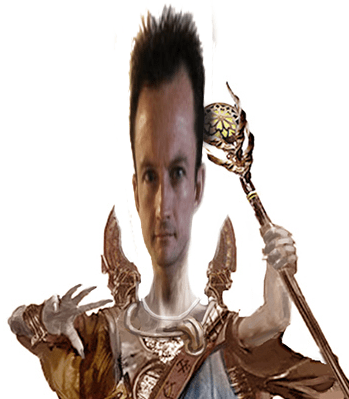 And, at $1.9M the great Chris Avellone will be gracing us with his presence. The name should be familiar with anyone who’s played an Obsidian Entertainment game. After all, he’s the one that founded the company. His past accomplishments also include Planescape Torment and Fallout 2. He’ll be tackling the “Cairn of Horrors” dungeon which promises to pretty much all sorts of nasty things to you. At the same level the “paper doll” that you’re used to seeing in RPGs will be replaced with a 3D representation of your character. That’s pretty much it for now. The current tally for The Bards Tale IV is almost to $1.37M with about a week and a half to go. So, if you really want to see any of these hard hitters as part of the team spread the word. For more information on the campaign, you can check out our previous coverage.